Orders are prioritized by when they are received. By Checking this box, do not add the additional 2' per side in the calculation. * Inland Tarp & Liner, LLC adds 2 feet in every direction for anchor trenches and then determines the overall square footage. 1.) For accurate measurements measure your ponds widest width, longest length and deepest depth (in feet). Enter those dimensions in the boxes provided. 2.) Every pond should have an anchor trench to prevent the liner from sliding down the slope and into the pond. We recommend no less than a 12" wide and 12" deep anchor trench. The deeper the pond the larger the anchor trench. 3.) All liners have some degree of expansion and contraction as the ambient temperature changes from summer to winter and back to summer. 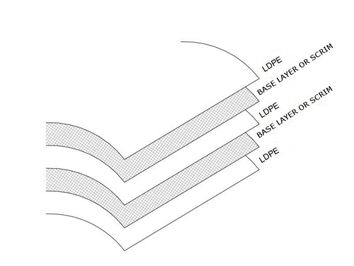 Therefore, liners must be installed with some slack ripples. A liner that is installed tight without these slack ripples can trampoline in the base and corners- in turn creating a liner failure. 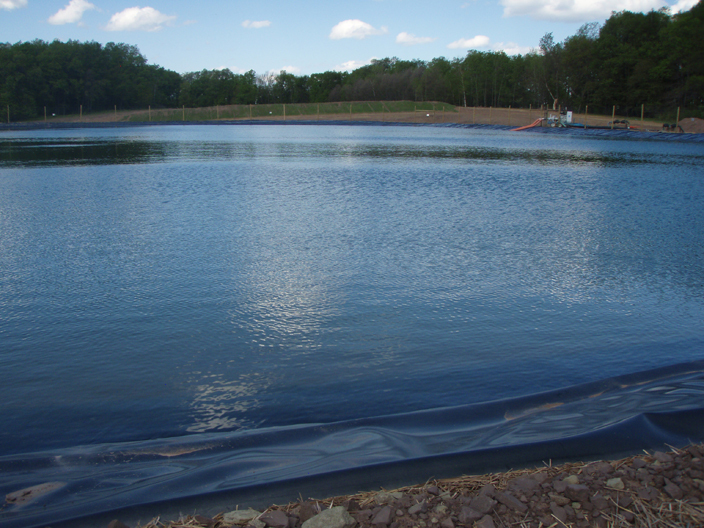 A liner installed in a colder climate or at a cooler time of day will require more slack ripples. We recommend adding 1' to 3' to each side of your final measurement to accomodate for this requirement. Liner material thickness is measured in mils or 1000ths of an inch. 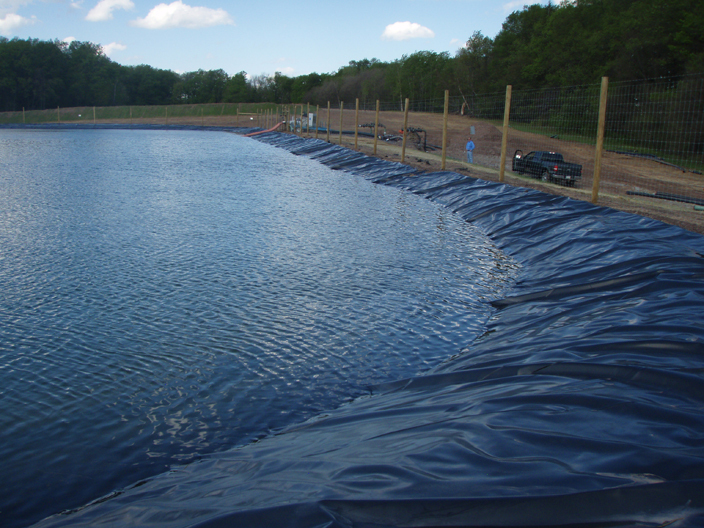 Inland Tarp & Liner (ITL) carries a wide range of liner materials to fit almost any application. Our standard liner materials are a 12mil, 16mil, 20mil, 24mil, 30 Mil LT and 30mil Coated Woven Polyethylene material that is black on both sides. 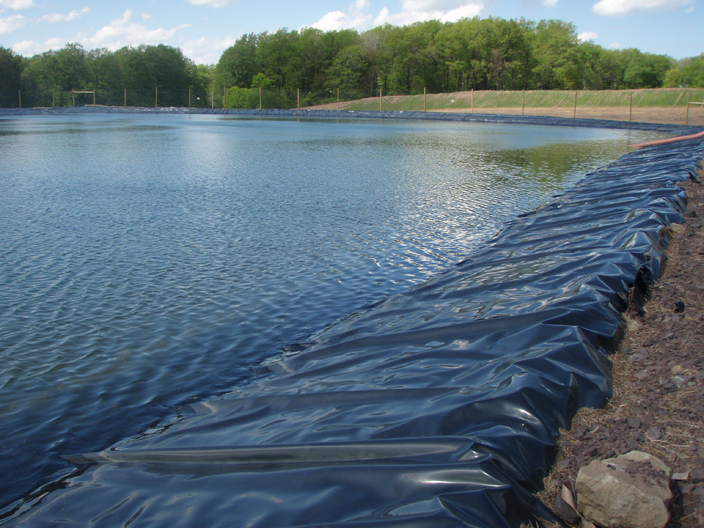 We also carry a 30mil and 40mil LLDPE (linear low-density polyethylene) in both smooth and textured surfaces and a geomembrane material in a 8 ounce Felt. Coated Woven Polyethylene (CWPE) is made from woven HDPE tapes known as “base fabric” or “scrim” which provide high tear strengths and puncture resistance. The HDPE scrim is coated on both sides with LDPE to provide flexible barriers to contain liquid. Standard products are three ply - that is 1 scrim layer with coating on top and bottom. ITL® is excited to introduce to the industry its New ITL 40X™. It is a five ply – two scrim layers with a coating between the scrims plus coating on top and bottom. This provides extremely high tear strengths, puncture and mullen burst resistance. The makeup of each ITL® coated woven material varies based on different combinations of HDPE scrim properties, weave count and the LDPE coating thickness. The ITL 40XGL™ is a combination of ITL 40X™ with the addition of a 2.5 oz. 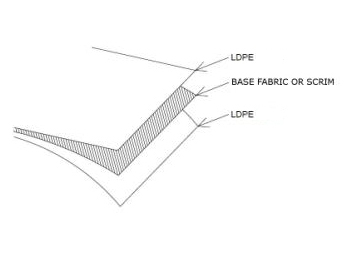 Geotextile Laminated (GL) to one side. Tests material thicknesses under ASTM D1777 option 1. 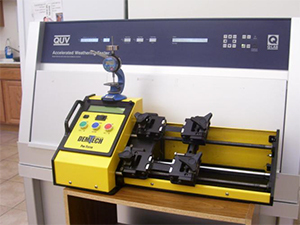 Tests tensile properties and seam strengths under ASTM D 751. 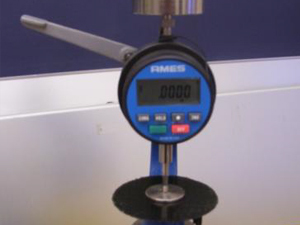 Tests materials for 2000 hours under ASTM 4799. UV Accelerated Weathering. More than 90% strength retained after 2,000 hours exposure. *ASTM D1777 Option 1. All values are +/- 10% and are not intended as limiting specifications. DISCLAIMER: The information contained herein is provided for reference purposes only and is not intended as a warranty or guarantee. Final determination of suitability for application is the sole responsibility of the user. These values are based on testing results from past fabric runs. Each production run varies in final results. If a certain specified value is required, please inform ITL in advance and we can provide current testing results. Last updated November 22, 2011. Ready to purchase or get a quote? Head over to our ITL® Build-A-Liner page to purchase or quote out a liner for your application needs! 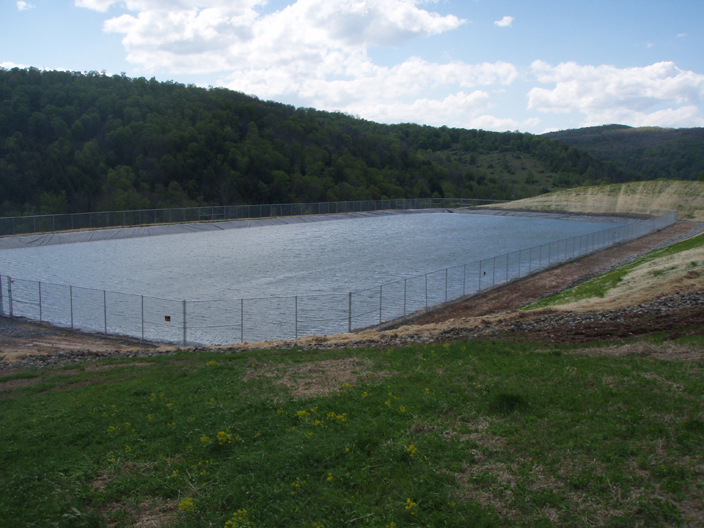 ITL coated woven reinforced liners cover a wide range of industries and project applications. These liners are "stronger and lighter weight" products and provide our customers not only cost effective solutions but added value savings for in-filed time and labor for installation, ITL also offers LLDPE liners. Not sure which liner material is best suited for you project? Check out our Product Applications Chart to find the right liner solution for your needs. 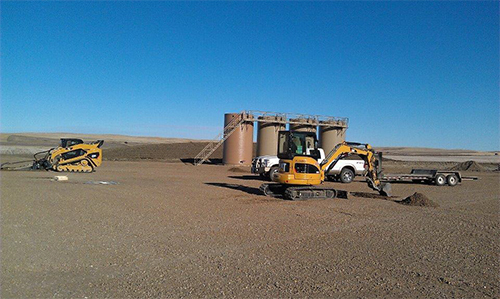 A suitable base must be prepared on the pad or the area to be lined. This base must be free of all sharp objects, roots, grass and vegetation. Unsuitable material (1/2” diameter or larger) found during the pre-installation inspection by the installer must be removed prior to the installation of the liner. Recommend base (subgrade) material be native materials or materials obtained from a borrow source smooth rolled and compacted to achieve a compaction of 95-98% relative density. An optional 8 oz. per square yard non-woven geotextile or approved construction fabric with a grab tensile of at least 205 pounds per sq. inch and a CBR Puncture value of at least 535 lbs. must be used to provide a suitable subgrade for the flexible membrane lining. Foreign materials, vegetation, protrusions, voids, cracks and other penetrating or raised sources must be removed from any sloping areas as well as the base. Loose rocks, rubble and other foreign matter are to be collected and deposited in the appropriate site out of the area to be lined. The excavated and filled areas shall be trimmed to elevations and contours shown on the drawings and must be smooth, uniform and free of all foreign matter, vegetation and sudden changes in grade. Geomembrane may be covered by soil if desired. In areas of high traffic or areas with a high water table covering the entire liner is often recommended. ITL® recommends a pre-installation inspection of subgrade by ALL invested parties, including applicable governmental agencies based on individual project requirements. This collaborative program for proper Site Prep and Subgrade helps to ensure increased life of liner and reduce liner repairs.